The DiSTI Corporation, a leading provider of graphical user interface software and customized 3-D virtual maintenance training solutions, announces that the Virtual Engine Shop app has been selected as the 2014 Learning App Challenge winner by the Advanced Distribution Learning initiative. The initiative provides an opportunity for participants to help students attain skills of manipulating tasks, simulation, or critical evaluation situations. 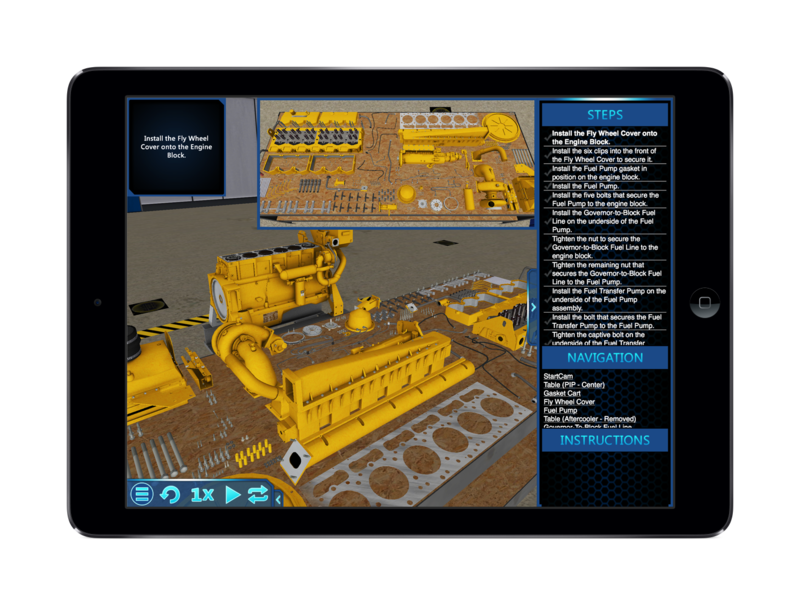 DiSTI’s iPad application, Virtual Engine Shop, engages users in a crawl, walk, run, training approach with its fully interactive 3D models. Through the app, users can perform realistic engine maintenance by choosing their part, engine, and procedure. The challenge was restricted to mobile platforms using original Mobile Web, Android, or iOS and applications were expected to be designed for grades K-12 and adult learners. A panel of experts chose Virtual Engine Shop for its technical quality, usability, innovations and combination of lesson, materials, and applied virtual hands-on practice. Visit http://www.virtualengineshop.com to learn more about the app. The Advanced Distribution Learning initiative is a government agency that was founded as a result of a Presidential Executive Order to provide training opportunities to the DoD and other federal agency employees to ensure success in the ever-changing work environment. The initiative facilitates the development of technical training standards within organizations and establishes guidelines on the use of standards and provides a mechanism to assist the DoD and other Federal agencies. To learn more about Advanced Distribution Learning visit http://www.adlnet.gov. "We are thrilled to have Virtual Engine Shop chosen as the Learning App Challenge Winner by the ADL Initiative," said Joe Swinski, President and CEO of DiSTI. "They were formed to ensure that the DoD and other federal employees can take full take advantage of technology and we feel strongly that our app does just that."